I’m gearing up for my next big project (6′ sideboard). It’s pretty exciting for me as I haven’t really been in the game lately. The design process usually takes a good amount of time for me, and that’s where I am right now. The design is in it’s final stages, just working out all the fine details (joinery). I should be finished with the design soon. Once finished, I’ll post it and include a link to the 3D Warehouse like usual. The sideboard will feature both drawers and doors, and should end up somewhere around 100 bf of lumber. 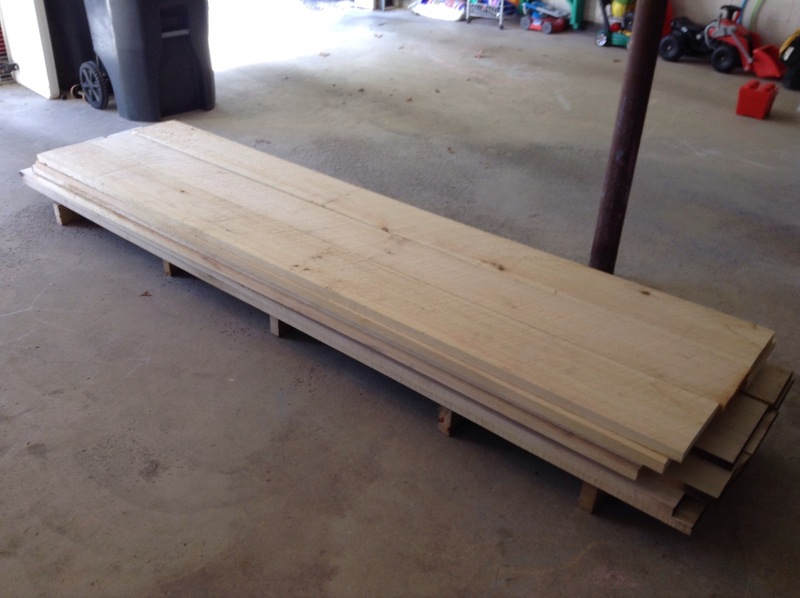 The photos below depict all the lumber I should need for the project. There’s about 50bf of Eastern White Pine on the top of the pile, which is intended as the primary wood for the project. On the bottom of the pile, there is about 70 bf of Poplar intended to be used as a secondary wood for all the internal structures. The lumber is just stacked for now, but it will be stickered once I start to surface it. Right now, everything is in the rough. This was my first trip to this particular lumber yard. The verdict is still out; I’ll have to see how the wood works. The guys out in the yard were very helpful. 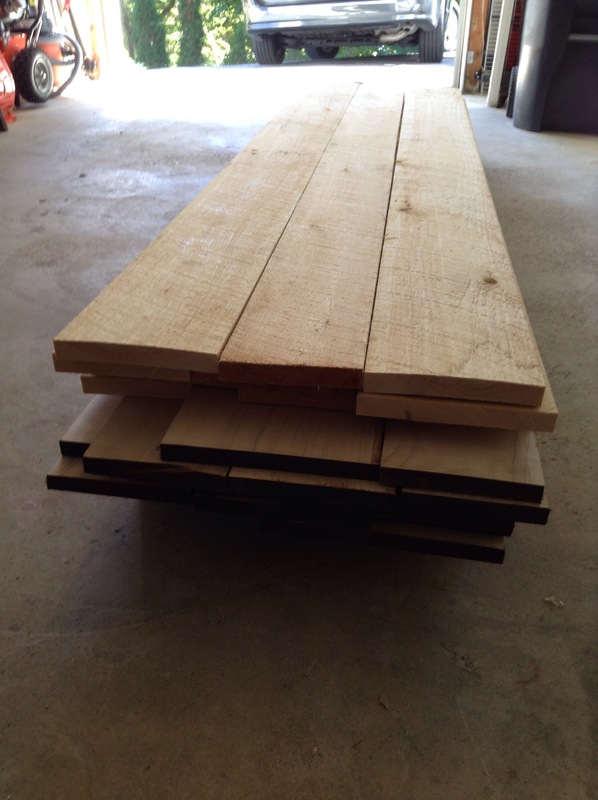 One of them brought me to the stack of Eastern White Pine and helped me located the boards I was looking for. He then pulled down the stacks with the fork lift and helped me sort through the stacks, board by board, until I found some 16 footers that would work. He then offered to cut them in half so they would fit into my van…I thought this was pretty good service. So, I’ll see how things go with this new supplier over the next few projects. If all is good, perhaps I’ll feature a post on them. This entry was posted in furniture, hand tools, lumber, sideboard, VCF, woodworking and tagged eastern white pine, furniture, hand tools, lumber, poplar, woodworker, woodworking by villagecustomfurniture. Bookmark the permalink.